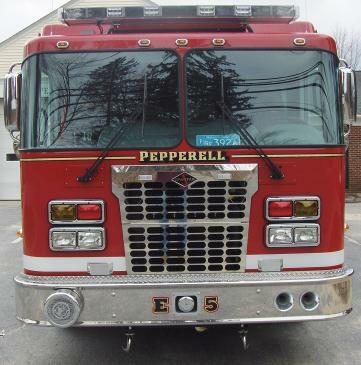 Pepperell Fire Department, Pepperell, Ma. 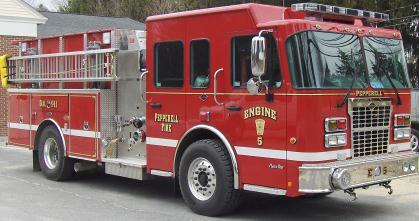 Chief Toby Tyler the members of the Pepperell Fire Department recently took delivery of this 2011 4-Guys pumper. 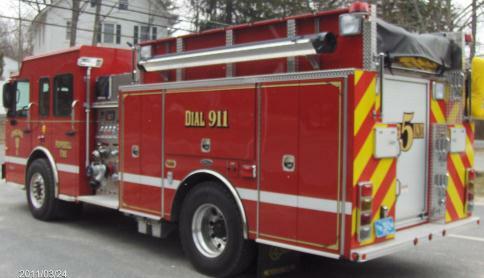 The truck features a Spartan Metro Star MFD chassis with seating for 6, Cummins 360 Hp ISC engine, Hale QMAX 1500 GPM Pump, 1000 water and 30 Gallon foam tanks. 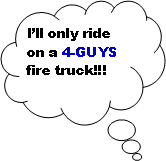 The body features 4-Guys ALL STAINLESS construction, 45” tall compartments on the right side with a ZICO Hydraulic ladder rack. Suction hoses are under the “T” of the tank, at chest level for easy deployment. Additional options include a 7.5 Kw generator, FoamPro foam system and a sump box in the right side running board for a trash line. 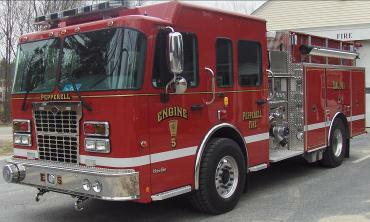 The truck was delivered in February of 2011, and replaced a 1985 Mack Pumper. 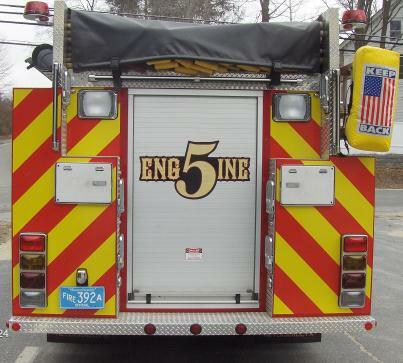 Features: 10” Raised Roof, ZICO hydraulic ladder rack, 45” tall compartments right side with a 15” locker over the rear wheels. Right side sump box in running board for trash line.